Back in 1980s scientists studied the polar bear locomotion and established that polar bears were not energetically efficient walkers. The study was carried out not in the natural environment. In fact scientists observed bears walking on treadmills. 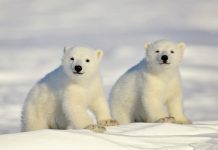 According to them, polar bears consume more oxygen and heat storage in comparison to other land mammals. 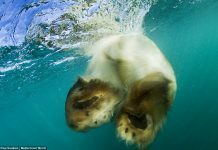 They thought that the polar bear’s morphology was not well developed for it to walk rather efficiently. 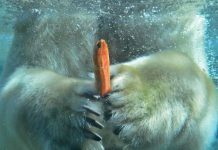 The long forelimbs of an ice bear is meant to capture more than anything else. 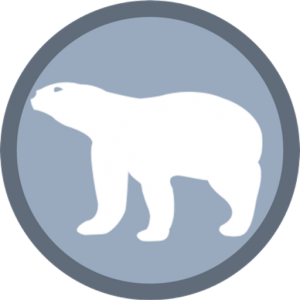 Polar bear’s excellent hunting strategy and thermoregulation is what makes them a serious predator. However, they are the most mobile animals of all quadrupeds. Scientists have yet to discover the locomotion in polar bears in their natural habitat. How Do Polar Bears Move Around? 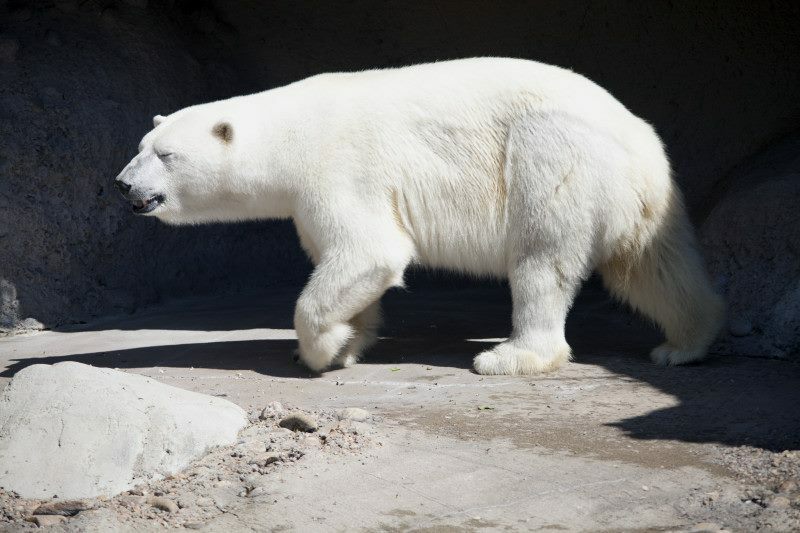 Polar bear travels vast distances using cues to navigate through the arctic habitat. 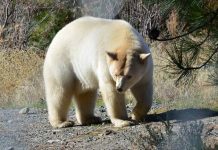 Scientists believe that they need to understand these cues in the light of bear’s own locomotion without comparing it to the movement of other species. Polar bear’s walking is its most familiar gait and it looks like pigeon-toed because bear’s forepaws are directed inwards. They are able to gait as well as gallop but they cannot trot. Polar bear’s walking is its most familiar gait and it looks like pigeon-toed because bear’s forepaws are directed inwards. They are able to gait as well as gallop but they cannot trot. If you happen to look at a walking bear from behind you can probably notice the prominent sway in her hips. Mature males often appear (during walk) as if their rear legs are turning around while viewing it from behind. Goes without saying that polar bears are not proficient walkers as much but their typical gait speed is about 5.5 km/h. Furthermore, bears can maintain this much for extended period of time. They do however relax a little during the journey. The minimum gait speed is around 1 km/h. Scientists noted the average speed of 4 km/h which they were able to sustain for as long as 20 hours. Few specimens did show up maximum stamina as they were able to sustain 4 km/h for up to 40 hours. Polar bears are not proficient walkers as much but their typical gait speed is about 5.5 km/h. Scientists noted the average speed of 4 km/h which they were able to sustain for as long as 20 hours. 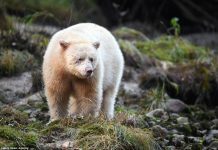 During warmer months in the Hudson Bay polar bears appear to remain inactive; the walking habits become limited throughout the season. They do nevertheless charge for their alternative prey such as waterfowls and caribou. Typically ice bears are slow animals for they never sprint like tigers do. The heat which is produced during the activity is likely to be dispersed in a very little time consequently leaving nothing to store. The maximum limit for polar bear walking is about 7.9 kilometers per hour. 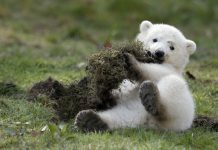 Studies suggest that polar bear cubs get too tired in too little time. This is due to the number of strides they have to take in order to keep up with their mother’s speed. Since number of steps is going to define the energy cost per gram of a body weight. The greater is the frequency of steps the greater is the energy consumed. Adults on the other hand do not seem to require too much energy (in walking) for while they are heavier the longer strides help them to cover the same distance in less time.